Captain: "What we've got here is... failure to communicate. Some men you just can't reach. So you get what we had here last week, which is the way he wants it... well, he gets it. I don't like it any more than you men." Everything clicks, and it does communicate. Such a masterful performance by Paul Newman and the rest of the cast. 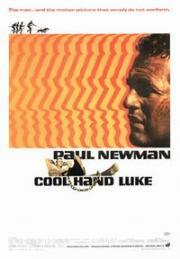 Newman does carry this film though, and he forces you to care, through sheer talent, about what is happening on screen. First half is a good hangout movie, second half gets a little heavy-handed and actorly. I mean, let's be honest, the biggest star on that set was behind the lens.